Ships today if you order in the next 1 hours 40 minutes. Curcumin is a substance that has powerful antioxidant properties. It also plays a role in the body's healthy internal response, helping to fight swelling, irritation and redness. This is important because a negative internal response has been linked to almost every chronic Western disease. Grape seed extract is another substance that is rich in antioxidants, which protect our cells from free radical damage. 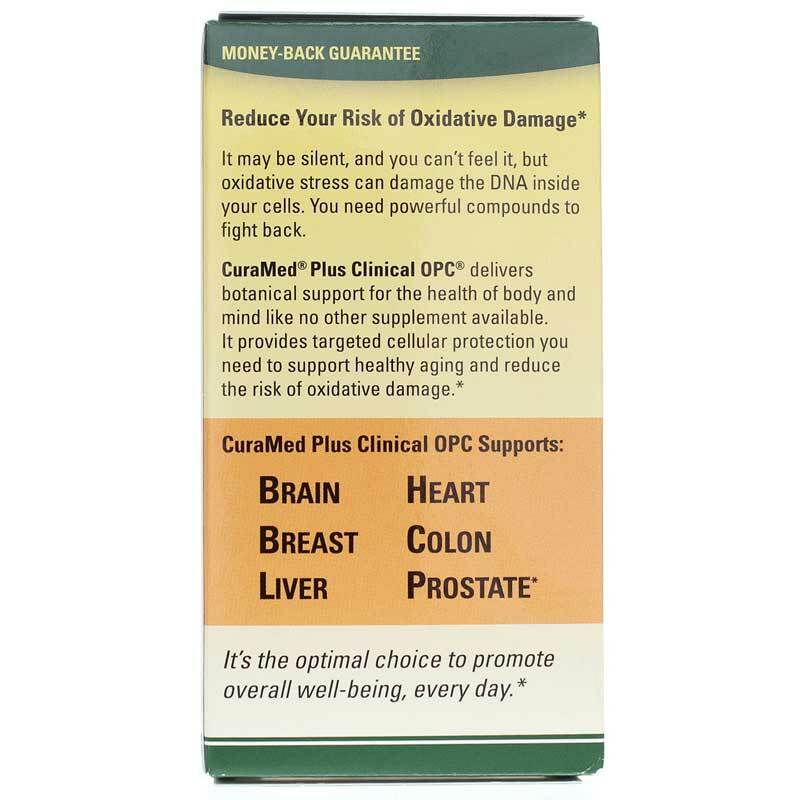 Terry Naturally includes both of these substances in its CuraMed + OPC, a natural supplement that provides targeted cellular protection to support healthy aging and reduce oxidative damage. According to clinical research presented at the Osteoarthritis Research Symposium International, BCM-95 provides superior pain relief. 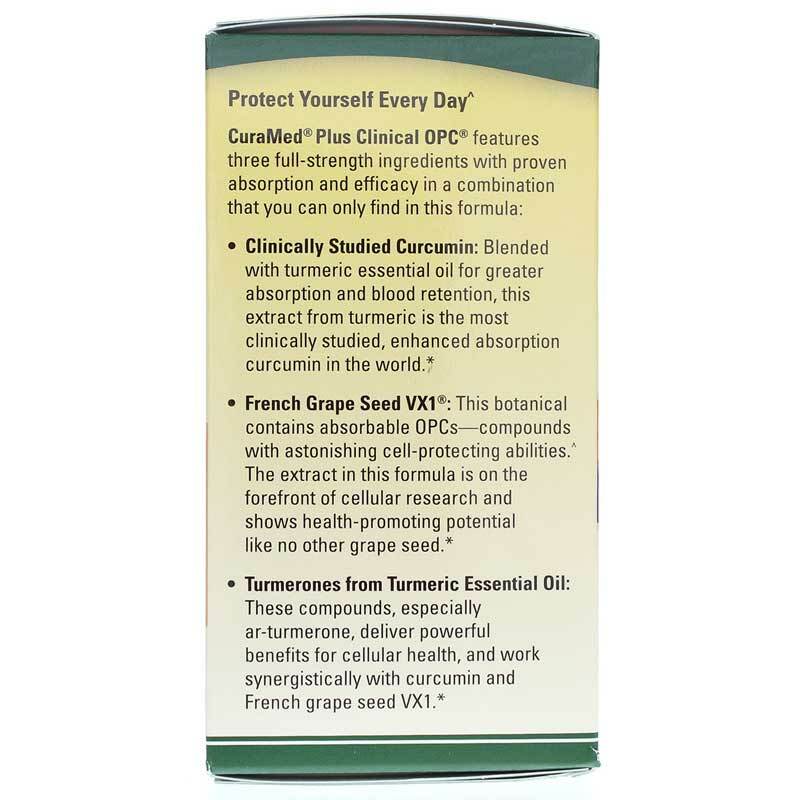 This formula contains BCM-95 curcumin, French grape seed extract and turmerones from turmeric oil. It does not contain sugar, salt, yeast, wheat, gluten, corn, soy, dairy, or artificial coloring, flavoring or preservatives. 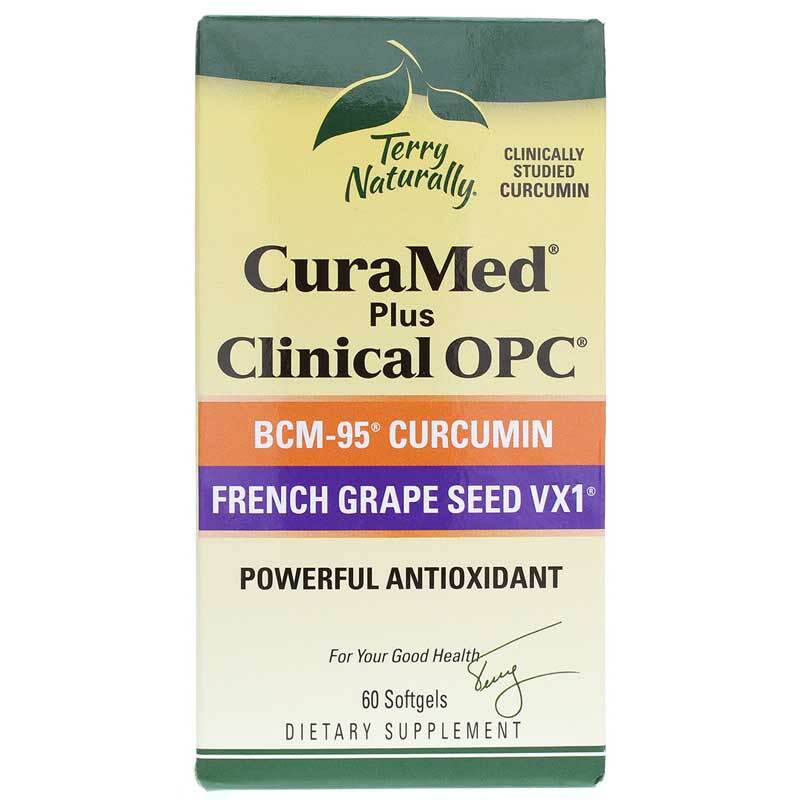 If you're looking for a natural supplement that provides targeted cellular protection, check into Terry Naturally's CuraMed + OPC. Order online today! Other Ingredients: sunflower oil, gelatin, glycerin, sunflower lecithin, purified water, beeswax, annatto color (softgel), and silica. Contains NO: GMOs, sugar, salt, yeast, wheat, gluten, corn, soy, dairy products, artificial coloring, artificial flavoring, or artificial preservatives. The BCM-95 and French Grape Seed Extract in this formula are backed by extensive research in peer-reviewed journals. 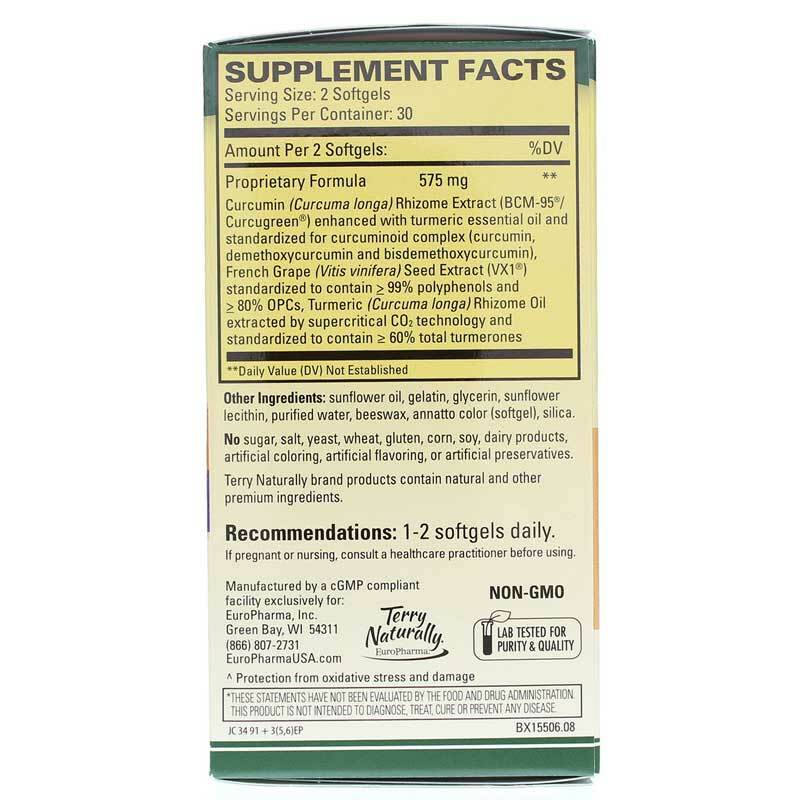 Adults: 1-2 softgels daily. May increase as desired. Curamed + OPC is fantastic. Does exactly what it says it will do. <br>Natural Healthy Concepts is a great place to do business with. Try both. Fast, prompt service; excellent pricing.